Add to that Aston Martin’s first all-electric car, the Rapide E, and the return of Lotus as an all-electric hypercar maker (both of which were also announced on Tuesday), and it’s clear that sedans are becoming the standout trend of the show. With Ford and General Motors recently killing off nearly all sedans in the United States following the downward sales trend, it feels like an almost unfathomable development to watch happen from halfway around the world. The sedans from Geely and NIO are just concepts at the moment. As such, the companies didn’t reveal too many specs about their cars. No pricing was released for any of the cars. 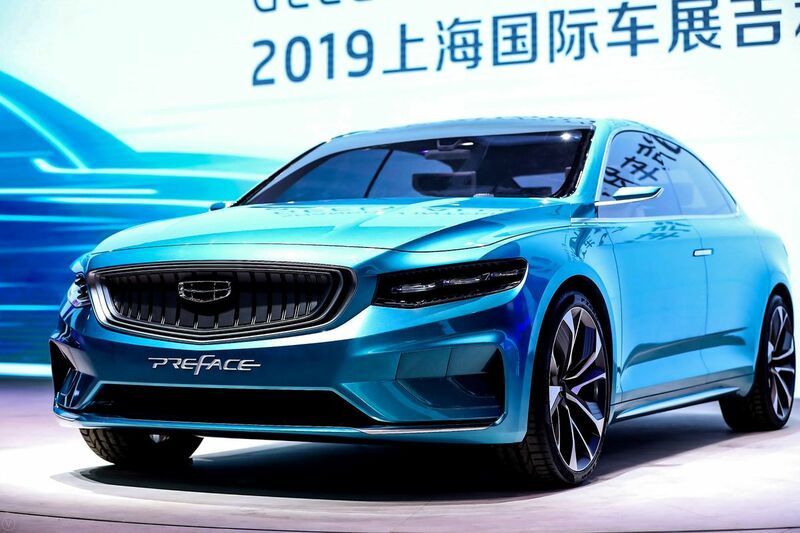 Geely’s concept (called Preface) isn’t its first sedan, or even its first all-electric one, but it’s the first one that will be built on the “Compact Modular Architecture” that Geely co-developed with Volvo. That means the production version of Geely’s sedan will be built on the same architecture as Volvo’s popular entry-level XC40 compact SUV. The Polestar 2 sedan, from Volvo’s performance subsidiary Polestar, and all of the cars from Geely sub-brand Lynk & Co are also built on this same platform. This cross-breeding between brands allows Geely, which is the largest privately owned automaker in China, to save costs and better compete with the state-owned giants. Up until now, NIO has mostly focused on electric SUVs. The company’s seven-seater ES8 went into production last summer, shortly before the company went public in the US, and more than 15,000 have been delivered since. NIO also showed off a smaller five-seater SUV called the ES6 in December, and the startup plans to start production on that vehicle later this year. (But it no longer plans to build the cars itself.) Its first vehicle, however, was the EP9, a limited run hypercar that is one of the fastest electric vehicles in the world. 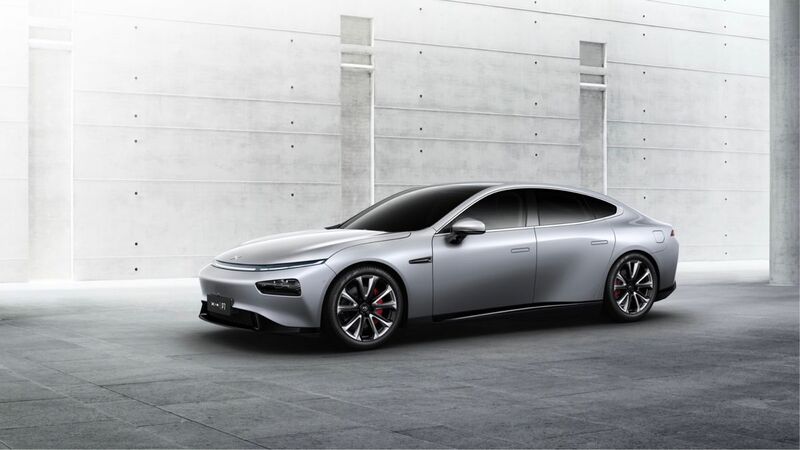 EV startup XPeng offered perhaps the most fully baked announcement with the P7 sedan. The car is expected to get around 600 kilometers (373 miles) on a full battery, though that estimate is also based on NEDC. XPeng says the P7 will be able to go from 0 to 60 miles per hour in under 4 seconds. It will be equipped with an advanced driver assistance system that the company calls XPilot, which uses Nvidia’s Drive Xavier, a chip built specifically for powering semi-autonomous and autonomous cars. It’s expected to be more premium than the startup’s first vehicle, the G3 electric SUV, but it’s still more affordable than NIO’s higher-end cars. Deliveries will start in the second quarter of 2020. XPeng initially gained notoriety outside of China because of how much the G3 resembles Tesla’s Model X, inside and out. (The P7 has some Model S vibes, too, especially in the rear.) The company’s founder has said he was inspired to make electric cars after Tesla open-sourced its patents. He has hired away employees who worked on Autopilot, and XPeng has even torn apart the Silicon Valley automaker’s cars to see how they’re built. The G3’s shape is very similar to the Model X, and the interior features basically the same layout, with a portrait-orientation touchscreen serving as the centerpiece. XPeng is also at the center of two high-stakes legal battles involving Tesla, Apple, and the US government. While it might seem counterintuitive to some to focus on sedans these days, Brian Gu, XPeng’s vice chairman and president, tells The Verge that there are multiple reasons why the startup is going with a sedan as its second model. “If you look at auto sales in China, the two biggest categories are sedans and SUVs,” Gu said by phone on Tuesday morning. With that in mind, he said, “I don’t think automakers here are too worried about being exposed” to any fluctuations in sedan sales. Gu said offering a second car that’s in a completely different category will help XPeng “spread the appeal” of its offerings. He also said the startup didn’t want to make a second, more premium SUV right away out of fear that it would cannibalize sales of the G3. Additionally, Gu says, XPeng is targeting a lower-cost slice of the market than other Chinese EV startups like NIO or Byton. The company wants to sell cars in the 150,000 to 300,000 yuan (about $22,000 to $45,000) price range, which Gu says makes up 50 percent of the new car market in China right now. Not only are those numbers more favorable, but Gu says XPeng’s technology-forward approach is more attractive in this segment than at higher price points where it’s more standard. None of this is to say that there aren’t electric SUVs being announced at the show in Shanghai. In fact, there are many. But there’s not much distinguishing one from the next, and many are coming from the literal hundreds of companies that are likely to suffer, consolidate, or collapse as China reels in its generous government subsidies this year. It wasn’t just startups showing off electric sedans this week in Shanghai. Aston Martin debuted the Rapide E, an all-electric version of its high-performance Rapide sedan. Lotus (which is — wait for it — now majority owned by Geely) announced its return with a high-performance electric car that is supposed to lead to a more attainable sports car in the coming years. California’s Karma Automotive (which is China-backed) also announced a luxury high-performance all-electric car. Sports cars, supercars, hypercars are still the domain of, well, cars, so these announcements aren’t as surprising. Also, each of those cars are meant for more than just China. But with both Lamborghini and Ferrari finally acquiescing and making SUVs, it still feels notable when automakers buck the trend and stick with sedans and coupes. One final sign that sedans are stealing the show in Shanghai this week? Tesla — which is typically allergic to most major car shows — set up a booth, but only brought the Model 3 sedan. The upcoming Model Y compact SUV did not make an appearance at the show. Tesla recently began Model 3 deliveries in China, and the automaker plans to build the car at a new Gigafactory that’s currently being built just outside of Shanghai. If it wants to find success before the Model Y enters production late next year, it will be able to rely on sedan sales in China in the short term, too.